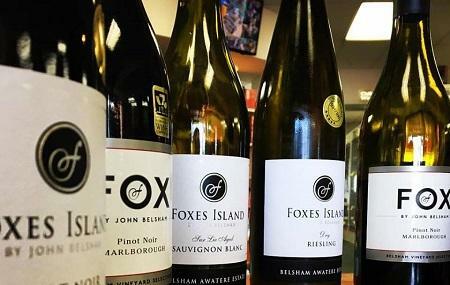 The Foxes Island Wines has the only wine-tasting room in Auckland city and offers not just soulful wines but also exquisite wine glasses, crystal wares and decanters that make fabulous gifts. Indulge in the sinful sips of gorgeous wines that will surely make it to your list of favourites and buy a bottle or two of your new find, before you leave the place. You can also buy tailored gifts for loved ones here. The shop also sells Jewellery and aromatherapy products, signed art work, limited releases of wines and a range of other luxury products. Call up the place for wine tasting prices. Open Monday to Saturday: 10.00 am – 5.00 pm for retail sales and wine tasting. For private tasting, visit the official website. People normally club together Symonds Street Cemetery and Spa At Pullman while planning their visit to Foxes Island Wines. I had great time visiting Foxes Island Wines today. Learnt so much about wine and had a great tasting experience. I purchased a case and 2014 Sauv & it is a real treat. I would strongly recommend a visit. Great wine with reasonable price!